improved to 13-4 overall and 3-0 in Mountain West Conference play with the win. In doubles action, Maria Babanova and Nina Munch-Soegaard led off with an 8-1 defeat of Brittany DeFelice and Jamie Nelson at the No. 3 position, while Kewa Nichols and Macall Harkins followed at the No. 2 spot with an 8-0 blanking of Michelle Brown and Carly Van Hollen to clinch the doubles point. TCU’s Idunn Hertzberg and Katariina Tuohimaa would complete the doubles sweep with an 8-5 victory over Rebecca Berger and Corina Lazar at the top position. Munch-Soegaard, ranked No. 67 nationally, won her sixth consecutive match to improve to 11-4 this season with a 6-1, 6-0 victory over Lazar at the top spot to begin singles play. Tuohimaa followed with a 6-0, 6-2 win over Carly Van Hollen at the No. 3 flight to put TCU up 3-0 in the match. Tuohimaa, a freshman from Helsinki, Finland, earned her 14th win this season, which leads the Frogs. Harkins clinched the match for TCU with a 6-0, 6-1 rout of Berger at the No. 2 position. Harkins has now won seven of her last eight singles contests. Nichols, a senior from Austin, Texas, quickly followed with a dominant 6-0, 6-2 win over Brown at the No. 4 flight. The win was Nichols’ sixth straight this season. The Frogs will return to action on Friday at 12 p.m. CDT in Las Vegas against No. 62 UNLV. NORMAN, OKLAHOMA (March 30, 2008) Dustin Dickerson's one-out RBI single in the top of the seventh broke a 2-2 tie, and No. 20 Baylor never trailed again as the Bears defeated Oklahoma 7-3 in Sunday's Big 12 Conference series finale at L. Dale Mitchell Park. Baylor (16-9, 3-6) snapped a five-game Big 12 losing streak with the win, also snapping a seven-game losing streak in conference road games that dated back to last season. Baylor, which lost the first two games of the series 11-2 and 3-2 in 10 innings, respectively, successfully staved off a sweep on the road in Big 12 play since April 28, 2002, at Kansas State. The Bears also snapped a seven-game road losing streak with the win. While Dickerson's RBI single gave the Bears a lead they never relinquished, it was three Baylor home runs in the final two innings that proved detrimental for Oklahoma (20-8-1, 2-3-1). Raynor Campbell's two-out, two-run shot in the eighth pushed the Bears' lead to 5-2. After the Sooners got a run in the bottom of the eighth, Aaron Miller and Landis Ware led off the top of the ninth with consecutive homers to push Baylor's lead back to four runs. Matt Harughty led off the ninth with a single for Oklahoma; however, Tim Matthews got Spencer Selby to foul out and Jarod Freeman to ground into a game-ending double play. Willie Kempf (4-1) earned the win for the Bears; he allowed two runs on five hits and three walks with three strikeouts in 7.0-plus innings, facing one batter in the eighth. Matthews allowed one run on three hits with one strikeout over 2.0 innings for his first save of the season. Ryan Duke (4-3), the first of three relievers on the day for Oklahoma, took the loss; he allowed one run on two hits and two walks with two strikeouts over 1.1 innings. Starter Michael Rocha surrendered a pair of runs on seven hits and a walk with seven strikeouts over 5.0-plus innings, facing one batter in the sixth. Oklahoma's Mike Gosse led off the bottom of the first with a double and later scored on Jamie Johnson's two-out RBI single. Baylor tied the game at 1-1 in the third on Shaver Hansen's one-out RBI single, and Miller's one-out solo homer in the fourth gave the Bears a 2-1 lead. It was the third multiple-homer game of Miller's season and the fourth of his career. Baylor's lead did not last long, though, as J.T. Wise led off the bottom of the fourth with a home run to left-center. Kempf surrendered a single to Johnson on the next pitch but did not allow another hit the rest of the day. Campbell, Dickerson, Miller and Jon Ringenberg all turned in two-hit days; it was Ringenberg's first career start. Beamer Weems went 3-for-5 with two runs scored; Weems, normally a switch-hitter, batted from the right side of the plate against right-handed pitching for the first time in his career. Baylor returns to action Tuesday, April 1, traveling to Fort Worth, Texas, for a midweek game at TCU. First pitch between the Bears and the Horned Frogs is scheduled for 7 p.m. CDT at Lupton Stadium. The game will be televised nationally on CBS College Sports. FORT WORTH, TEXAS (March 29, 2008) The No. 22 TCU women's tennis team posted a 7-0 shutout over Air Force on Saturday en route to their fifth consecutive victory. The Horned Frogs improved to 12-4 overall and 2-0 in Mountain West Conference play with the win. "It's always an honor to play Air Force," said TCU head coach Jefferson Hammond. "A lot of these players will be putting themselves in harm's way in the coming years and we couldn't have a finer group working to protect our country. We played very well today and stayed focused and everybody seems to be on the same page as we move forward into the conference season." The TCU duo of Nina Munch-Soegaard and Maria Babanova opened doubles play with an 8-1defeat of Christen Monreal and Samantha Sarkis at the No. 3 position. Anna Sydorska and Kewa Nichols followed with an 8-2 rout of Erika Shortridge and Lauren Wilson to clinch the doubles point, while Idunn Hertzberg and Katariina Tuohimaa posted an 8-5 win over Christine Abayan and Erlyn Rudico at the top spot. Sydorska opened singles action with a 6-1, 6-0 defeat of Wilson at the No. 2 position, while Tuohimaa followed with a 6-0, 6-0 victory against Meghan Kiser to put the Frogs up 3-0 in the match. Munch-Soegaard, ranked No. 67 nationally, cruised past Abayan at the top position by a score of 6-0, 6-2, while Nichols posted her fifth consecutive win with a 6-1, 6-0 defeat of Sarkis at the No. 4 spot. TCU freshmen Hertzberg and Babanova wrapped up the match with wins at the No. 5 and No. 6 positions, respectively. Hertzberg defeated Katrina Eromin by a score of 6-1, 6-3, while Babanova recorded a 6-2, 6-1 victory over Monreal. The Frogs will play host to Wyoming on Sunday at 10 a.m.
FEDERAL WAY, WASHINGTON (March 28, 2008) TCU senior swimmer Jonathon Berrettini completed his decorated career as a Horned Frog on Friday at the 2008 NCAA Men’s Swimming and Diving National Championships with a 26th-place finish in the 100-back in a school-record time of 48.16. Berrettini was the first TCU swimmer to compete at the NCAA Championships since 1997. The Lewisville, Texas, native surpassed his previous best of 48.28 in the 100-back set earlier this season. Friday’s clocking of 48.16 also ranks first in Mountain West Conference history. Berrettini now holds the top-five times in the 100-back in the TCU record book. On Thursday, Berrettini placed 45th in the nation in the 50-free with a time of 20.32, which ranks fourth in school history. Coverage of this season’s NCAA Championships will be aired on ESPN2 on April 3 at 1 p.m. CDT. FORT WORTH, TEXAS (March 27, 3008) The No. 22 TCU women’s tennis team will open Mountain West Conference play this weekend by hosting three league opponents at the Bayard H. Friedman Tennis Center. The Horned Frogs will face Colorado State at 6 p.m., followed by a Saturday contest against Air Force at 10 a.m. and a Sunday match against Wyoming at 10 a.m.
matches. Sophomore Nina Munch-Soegaard is currently ranked No. 67 in singles play, while Anna Sydorska is ranked No. 72 nationally. Freshman Katariina Tuohimaa leads the team with an 11-3 record. The doubles tandem of Macall Harkins and Sydorska is currently tabbed as the nation’s 12th-best duo. Harkins and Sydorska are 11-2 overall, with four wins coming against ranked opponents. On Wednesday, Harkins was named the MWC Women’s Tennis Player of the Week, marking the third time this season she has earned the weekly honor. Colorado State will enter Friday’s contest with a 6-3 overall record. The Rams have won three straight matches, including a 7-0 win over UW-Green Bay in their last action on March 18. TCU holds a 3-0 advantage in the all-time series with Colorado State, including a shutout victory last season. Air Force is currently 5-13 this season, and fell at Stetson on Monday by a score of 5-2. TCU is 2-0 against the Falcons in the series, both of which were shutouts. Wyoming will come to Fort Worth with a 10-5 season mark. The Cowgirls last competed on Saturday, posting a 5-2 victory at Santa Clara. TCU is 4-0 against Wyoming in the series, including two shutout victories last season. IRVING, TEXAS (March 26, 2008) The SMU swimming and divng team ended another solid season by finishing 11th at the NCAA Championships last week. The Mustangs have finished in the Top 12 or better in 16 of head coach Steve Collins' 22 years at the helm of the program. Houston sent multiple divers to the event and scored 29 points to finish in 28th in the team standings, while Rice's Brittany Massengale notched nine points to help the Owls place 39th. The SMU women's swimming and diving team will take home a final ranking of 11th in the country, missing the top 10 by just two points. On the last day of the NCAA Championships, the Mustangs set a new SMU record in the 400 free relay and scored in a total of three events, including freshman Audra Egenolf taking seventh in platform diving. "We had a great day," said head coach Steve Collins. "I'm really, really happy. We swam great splits tonight, including Jen Blackman's lifetime-best leading off our 400 free relay. It was very exciting to watch. We always preach that it takes a total team effort and I really believe we did that here." The Mustangs broke the school record in the 400 free relay set in 2006. J. Blackman, Candace Blackman, Petra Klosova and Sascha Van den Branden combined for a time of 3:15.45 in the prelim round, breaking the old school record by over a second. Then, in the finals, the squad clocked a blazing-fast 3:14.86, breaking the record a second time, bettering the mark by over two full seconds. The finish was good for sixth place in the event, earning the Mustangs 26 points. Anja Carman scored in the 200 back, taking the consolation heat by storm. Carman touched the wall in 1:54.85, scoring nine points for SMU. Egenolf became the latest NCAA scorer in a storied SMU diving program. In the prelims, Egenolf tallied 268.00 points to put her in the top-eight for the finals. Saturday night, she managed 233.55 in the finals to notch seventh place and 12 points. "Audra did really well tonight," said Collins. "To get herself in the finals like that, as a freshman, is really a hard thing to do. It was just awesome to see her place." C. Blackman swam a season-fastest 49.24 in the 100 free, but did not qualify for the finals in that event. "Three days and six sessions," remarked Collins. "The team never gave up. They just kept fighting through. I'm so proud of this team and very, very happy with the effort throughout the season and the meet. I also want to say how proud I am of the two seniors who represented us at the meet. Anja had an incredible season and really started us off with great splits. The whole team was able to build on her momentum and I think that helped carry us through. Jen also had an amazing season. She was an individual scorer in the 200 free for the first time ever, her senior year and then swam great in the relays. The two of them were great leaders for us all season and throughout this meet." The NCAA meet marked the official end to the season, but members of the team will continue to swim in an effort to qualify for the U.S. Olympic Trials. Next on the slate will be the U.S. Grand Prix in Palo Alto, Calif. April 3-5. For the complete schedule and results, log on to SMUMustangs.com. Three University of Houston divers capped their 2007-08 season in impressive style by earning All-America honors on the platform during the final day of the NCAA Championships on Saturday at the McCorkle Aquatic Pavilion on the campus of Ohio State. Freshman Lacey Truelove, competing in her first NCAA Championship, earned the best finish by any Cougar at the 2008 meet, finishing sixth on the platform with 272.35 points during the finals. It was the first All-America honor for the London, Ontario, native, who recorded 304.95 points during the preliminaries earlier in the day. Senior captain Ginni van Katwijk won the consolation finals with 296.20 points, while freshman Courtney Forcucci finished 15th with 224.40 points. It was the second All-America honor at the 2008 NCAA Championship for van Katwijk, who finished 10th on the 3-meter springboard on Friday. Competing in her first NCAA Championship, Forcucci collected the first All-America honor of her career. With their performance on Saturday alone, the Cougar trio earned 24 points to help lead Houston to a final team score of 29 points. The Cougars finished 28th in the overall team standings, the first time during the last eight seasons that UH failed to finish among the Top-25 team leaders at the nation's top collegiate meet. van Katwijk collected 252.70 points, while Forcucci posted 226.35 points during the preliminaries earlier in the day. Brittany Viola of Miami (Fla.) won the platform national championship with 362.60 points during the finals. Arizona won the 2008 team national championship with 484 points, while Auburn finished second with 348 points. The Cougars earned the second most points among Conference USA teams, trailing only SMU, which earned 126 points to finish 11th. Forcucci earned her place at the NCAA Championship after finishing second on the 1-meter springboard during the three-day meet's first day. van Katwijk and Truelove qualified the next day after finishing 1-2, respectively, on the 3-meter board. Truelove added to her impressive resume during her first collegiate season by winning the platform title at the NCAA Zone D meet on Sunday. While Truelove and Forcucci will compete in their first NCAA Championship, the event is nothing new for diving head coach Jane Figueiredo. During her illustrious 18-year career at UH, Figueiredo now has led 26 divers to the NCAA Championship. Adding her divers' 2008 performances to her resume, Figueiredo has mentored 13 divers to 39 All-America honors. This marked the eighth consecutive year that at least one UH diver competed at the NCAA Championship, and it was the fifth straight season that the Cougars sent multiple divers to the Championship. Rice senior swimmer Brittany Massengale shattered her own school record to finish 12th out of a field of 40 competitors in the 1,650-yard freestyle Saturday at the 2008 NCAA Championships held the McCorkle Aquatic Pavilion on the campus of Ohio State University in Columbus, Ohio. Massengale was second in her heat with a time of 16:12.12, breaking her Conference USA-winning and school record time in the event by more than five seconds. There were five heats of eight swimmers, and all heats for this lengthy event are for the Championship's final placings. In her 1,650 race, the Owls' distance specialist from Alma, Ark., also swam the best-ever Rice time in the 1,000-freestyle (9:47.86). Massengale's 12th place finish in the mile added five points to Rice's team score for the meet. She also finished 13th in the 500-freestyle on Thursday to score four points in that event. Massengale accounted for all nine of Rice's team points to tie for 39th place in the standings on her own. She is the first Owl to score in two events at the NCAA Championships since Mandy Mularz in 2002. That year Rice was 25th in the final NCAA standings. The Owls tied for 33rd in the country in 2003, the last time for Rice to score in the NCAA meet. It has been an impressive four years for the Rice senior. Massengale set four school records in her career with Rice bests in the 200-, 500-, 1,000- and ,1,650-yard freestyle. She became the first Rice swimmer to make the United States National Team, representing her country in an international competition in the summer of 2006. SAN ANTONIO, TEXAS (March 25, 2008) Elite Racing, Inc., organizer of the inaugural Rock ‘n’ Roll San Antonio Marathon & ½ Marathon, promised to energize the local running community and provide an entertaining destination event for runners and walkers of all abilities as members of the race committee and city officials unveiled the new course today. Approximately 20,000 runners and walkers are expected for the musical event that will showcase San Antonio’s southwestern flair when it debuts Sunday, November 16, 2008. “Texas has a strong running community and we are pleased the Rock ‘n’ Roll San Antonio Marathon & ½ Marathon will soon be one of the state’s and the nation’s premiere running events,” said Lucy Diaz, the event’s manager. “This world-class course will attract elite athletes and provide a fun-filled tour through San Antonio’s vibrant city, parks and historic sites." Early interest in the Rock ‘n’ Roll San Antonio Marathon & ½ Marathon is positive with nearly 5,000 participants already entered. Considering the race’s family-friendly appeal and the region’s ideal autumn running climate, organizers expect a strong debut and continued annual growth. Organizers noted early registration ends on March 31, 2008. Potential participants are encouraged to commit now to the marathon or half-marathon and save on the entry fees before the prices go up. Current fees are $80 for the marathon and $65 for the half-marathon, which will increase by $15 and $10 respectively. Participants and spectators alike are in for a block-party experience when the race implements its rock ‘n’ roll theme with rousing music, hundreds of local high school cheerleading squads and themed water stations line each mile of the course. The inaugural event concludes with an evening concert at the Alamodome, free to all participants and featuring a major rock ‘n’ roll headliner. In addition, the race will draw elite runners from around the world vying for cash prizes. A free two-day “Health and Fitness Expo,” open to the public, will be held November 14 and 15 at the Alamodome, featuring fitness related clinics and the latest health and nutrition information with a variety of products for sample and sale. For more information or to register online for the Rock ‘n’ Roll San Antonio Marathon & ½ Marathon, visit www.RnRsa.com or contact Elite Racing, Inc. at 800-311-1255. The start line village will be located on Broadway near Brakenridge Park. The race begins with an invitational elite wheelchair race at 7:25 a.m. followed by a simultaneous marathon and half-marathon start at 7:30 a.m. Participants will travel south towards downtown. Just past the San Antonio Express-News Headquarters the course turns East onto 4th Avenue, running behind the River Center Mall before turning North onto Alamo Plaza and passing the Alamo before passing mile three. Crossing over the River Walk on St. Mary’s Street the course winds its way north to McCullough Avenue. Passing mile five the course turns West onto Craig Place through the Monte Vista Historic District and loops its way around San Pedro Park the second oldest park in the United States. Through miles six to nine the route heads South. Most of this leg consists of a two-mile stretch down Main Avenue where the course passes the San Fernando Cathedral at mile eight. Off Main Avenue, the course turns East onto Gunther Street and enters the King William Historic District. Continuing to St. Mary’s Street through the Southtown Arts District, the half-marathon course splits from the marathon at Claudia Street, mile 10.5, to run east one block to Presa Street. The marathon course continues south on St. Mary’s Street to Mission Road passing Mission Concepción at mile 12. The marathon course continues south passing Mission San José at mile 14 and Mission San Juan Capistrano at mile 17. At this point the marathon swings East onto Padre Drive into the Mission Trails National Historic Park, entering a rural landscape. At mile 21.5 the marathon rejoins Mission Road and continues north back towards downtown. Just prior to mile 24 the marathon skips East one block on Playmoor Street before meeting up with the half-marathon course on Presa Street. The marathon and half-marathon courses run in parallel on either side of the road turning east on Durango Blvd. Just after mile 25 the courses split once more before meeting up again on Montana Street for the final stretch to the finish line on Cherry Street behind the Alamodome. TEXAS CITY, TEXAS (March 24, 2008) The Bay Area Toros Professional Baseball Club announced recently that they are actively seeking local families that are interested in hosting a Bay Area Toros player for the 2008 season. Host families would have a Toros player live with their family in their home during the season and have that Toros player become "part of the family" for the four months that they are playing for the Toros in Texas City. Toros players that are placed with families become an active, productive member of that family for the summer. In 2007, eleven Toro players stayed with host families, without incident, in the bay area and many are still in constant contact with their hosts well after the season is over. Toros Pitcher Will Smeltzer said "I don't know that I enjoyed anything more than staying with my host family last season. I really felt like I became part of their family and really enjoyed being around their kids and having my own cheering section at our home games." Host families will be matched with a Toros player after a careful screening and introduction process in which the player and the family will meet and make sure there is a "fit" prior to the season starting. Host families have been a tradition in minor league baseball for many years and in college baseball in many of the elite summer programs for decades. Families interested in being a Host Family should immediately contact Bay Area Toros General Manager Mike Pede to be matched with an incoming player for the 2008 season. Interested parties should make contact by April 5 to allow for appropriate time to match family with players. Pede can be reached via email at mikepede@bayareatoros.com or by phone at 281-932-7949. ANCIENT OLYMPIA, GREECE (March 24, 2008) The Olympic Flame was lit today in ancient Olympia in front of the Temple of Hera. The 2008 Beijing Olympic torch will be carried on foot from Olympia, Greece to Beijing, China. The trip is 85,000 miles long and will take about five months before it reaches Beijing on August 6 and enters Olympic stadium for the opening ceremony on August 8. This is the longest journey for the flame in the history of the Olympics and will require tens of thousands of torchbearers. It will pass through five continents and visit 23 cities before reaching China. Besides Greece and China, other countries including France, Kazakhstan, Russia, and USA are on the list; so are the two small Chinese islands of Hong Kong and Macao. The torch will reach San Francisco on April 9. Weather permitting the torch may also reach the top of Mt. Everest, the highest peak in the world, in May. China is still insisting to keep the route through Tibet despite the violent riots and deadly crackdown: the torch is planned to reach Lhasa, the capital city of Tibet, in June. A single pro-Tibetan voice was heard during the lighting ceremony but was quickly silenced. DURHAM, NORTH, CAROLINA (March 24, 2008) Baylor baseball dropped six spots to No. 20 in this week's Baseball America Top 25, released Monday by the publication. The Bears (14-6, 2-4) were one of eight teams to drop at least one spot in this week's ranking. Baylor was 0-3 last week, dropping all three games in a weekend series at Missouri, which moved up two spots to No. 2 nationally as the highest ranked Big 12 Conference team. Arizona State was ranked No. 1 for the second consecutive week, followed by Missouri, North Carolina, Miami, Fla., and Long Beach State, which swept preseason No. 1 UCLA over the weekend. Former No. 1 Arizona dropped two spots to No. 6; UC Irvine, Florida State, Vanderbilt and South Carolina rounded out the top 10. Texas (13th) and Nebraska (19th) joined Baylor and Missouri to give the Big 12 four teams in the Top 25. The Bears also dropped out of the of the USA Today/ESPN Coaches' Poll after being ranked No. 13 last week. Baylor was the leader among teams also receiving votes for the poll and just one point out of the ranking. The Bears dropped five spots to No. 20 in this week's Collegiate Baseball Top 30. Baylor returns to action Tuesday, hosting Houston Baptist for a 6:30 p.m. CDT first pitch at Baylor Ballpark. The Bears also host Texas A&M-Corpus Christi at 4 p.m. Wednesday. Baylor hits the road again on the weekend, traveling to Norman, Okla., for a three-game series at Oklahoma. COLUMBIA, MISSOURI (March 23, 2008) Two big innings proved costly for No. 14 Baylor as the Bears dropped a 12-2, seven-inning decision at No. 4 Missouri in Sunday's Big 12 Conference series finale at Taylor Stadium. Baylor (13-7, 2-4) has lost five consecutive road games and five straight road games in conference play, dating back to last season. Missouri (18-2, 3-0) has won 12 straight after sweeping the three-game series. This was the first sweep in the series' history; prior to this weekend, it was the only series in Big 12 history to have never been swept. After getting an unearned run in the third, Missouri exploded for five runs on five hits and a Baylor error in the third to take a commanding 6-0 lead. The key play in the inning came with two runs already in, the bases loaded and two outs. Ryan Lollis hit a chopper to Baylor third basemen Shaver Hansen, who misplayed the ball allowing a run to score and the inning to continue. Baylor snapped a 25-inning scoreless streak with two runs in the top of the seventh. Raynor Campbell plated the first run with an RBI double, and Beamer Weems scored Campbell with a two-out single up the middle. However, the Bears stranded runners on the corners in what proved to be their last at bat of the game. Missouri scored six runs on only three hits in the bottom of the seventh, pushing its lead to 10 runs and evoking the conference's mercy rule used in series finales. Three Baylor pitchers walked four batters, and Jacob Priday was hit by a pitch with the bases loaded to end the game. Tigers' starter Kyle Gibson (5-0) tossed a complete game for the win; he allowed two unearned runs on four hits and two walks with nine strikeouts. Bears' starter Willie Kempf (3-1) was saddled with the loss. He allowed six runs, only two of which were earned, on eight hits and a walk with four strikeouts over 4.0 innings. Baylor returns to action Tuesday, March 25, hosting Houston Baptist for the first of two midweek games. First pitch between the Bears and the Huskies is scheduled for 6:30 p.m. CDT. Baylor hosts Texas A&M-Corpus Christi at 4 p.m. Wednesday. NOTES: Baylor leads the all-time series 25-22, including a 23-22 edge during head coach Steve Smith's tenure. However, Missouri has won nine of the last 13 meetings. ... Missouri holds a 10-8 edge in games played at Columbia, winning five of the last six at Taylor Stadium. ... The Tigers lead the series 19-17 in regular-season Big 12 meetings, winning nine of the last 12. COLUMBUS, OHIO (Mrach 23, 2008) Three University of Houston divers capped their 2007-08 season in impressive style by earning All-America honors on the platform during the final day of the NCAA Championships on Saturday at the McCorkle Aquatic Pavilion on the campus of Ohio State. Freshman Lacey Truelove, competing in her first NCAA Championship, earned the best finish by any Cougar at the 2008 meet, finishing sixth on the platform with 272.35 points during the finals. It was the first All-America honor for the London, Ontario, native, who recorded 304.95 points during the preliminaries earlier in the day. Senior captain Ginni van Katwijk won the consolation finals with 296.20 points, while freshman Courtney Forcucci finished 15th with 224.40 points.It was the second All-America honor at the 2008 NCAA Championship for van Katwijk, who finished 10th on the 3-meter springboard on Friday. Competing in her first NCAA Championship, Forcucci collected the first All-America honor of her career.With their performance on Saturday alone, the Cougar trio earned 24 points to help lead Houston to a final team score of 29 points. The Cougars finished 28th in the overall team standings, the first time during the last eight seasons that UH failed to finish among the Top-25 team leaders at the nation’s top collegiate meet. van Katwijk collected 252.70 points, while Forcucci posted 226.35 points during the preliminaries earlier in the day.Brittany Viola of Miami (Fla.) won the platform national championship with 362.60 points during the finals. Truelove added to her impressive resume during her first collegiate season by winning the platform title at the NCAA Zone D meet on Sunday.While Truelove and Forcucci will compete in their first NCAA Championship, the event is nothing new for diving head coach Jane Figueiredo. During her illustrious 18-year career at UH, Figueiredo now has led 26 divers to the NCAA Championship. Adding her divers’ 2008 performances to her resume, Figueiredo has mentored 13 divers to 39 All-America honors.This marked the eighth consecutive year that at least one UH diver competed at the NCAA Championship, and it was the fifth straight season that the Cougars sent multiple divers to the Championship. Bay Area Toros Sign First Set Of Players For 2008 Season. TEXAS CITY, TEXAS (March 22, 2008) The Bay Area Toros Professional Baseball Club of the Continental Baseball League, announced today the signings of three premier players to their 2008 roster. Thomas Maletta (LHP), Grant Massie (OF) and Zeke Boren (RHP) were the first three players to be announced this season by General Manager Mike Pede. The team will bring 25 players to the field on May 23 in their new home in Texas City, Texas. “The level of talent that we are seeing this year seems to be better than in years past for some reason, and it’s a good thing, because we need some pitching,” said Pede. Maletta, a 22 year old left-handed pitcher from the New York City area played recently in the Arizona Winter League with the eventual Champion Blythe Heat and collegiately at Mercy College. “We hear great things about Thomas and are looking forward to big things from him this season to help our staff,” said Pede. Grant Massie, a Treasure Island, Florida resident, played collegiately at Eckert College, where he was named to the 2007 NCAA Rawlings Gold Glove All South Region Team as an outfielder. Massie hit .336 his final year at Eckert. “Grant brings us a great bat into our outfield rotation and can flat out fly on the basepaths. He will really upgrade us defensively in the outfield as well,” Pede added. Zeke Boren, a 6’2” right-hander, also just completed a stint in the Arizona Winter League, also on the Blythe Heat Championship team, is a native of the Philadelphia (PA) area. As a matter of fact, he played in the same high school baseball district as General Manager Mike Pede’s high school, even no-hitting Pede’s alma mater once. “Zeke is an interesting guy who brings a great deal of mound presence to our staff. I look forward to watching him pitch this summer in Texas City,” said the GM. The Toros will hold training camp in Texas City at Robinson Stadium beginning May 1, 2008. The teams second season in the CBL begins at home on May 23 against the Corpus Christi BeachDawgs at 6:00 p.m. The team will be continuously announcing signings over the next few weeks until the 25 man roster is complete for second year Manager Jim Bolt. For more information on Bay Area Toros Baseball, go to www.BayAreaToros.com. COLUMBUS, OHIO (March 22, 2008) University of Houston senior captain Ginni van Katwijk scored 313.90 points to finish 12th on the 3-meter springboard to lead the Cougars during the second day of the 2008 NCAA Championships on Friday at the McCorkle Aquatic Pavilion on the campus of Ohio State. The Grootebroek, Netherlands, native qualified for the finals after scoring 311.00 points to ranks 10th. van Katwijk saved her best performance for last, scoring 54.60 points on her final dive to qualify for the finals. Later in the day, she recorded 313.65 points in the consolation finals for her final standing. With that performance, van Katwijk earned All-America honors at the NCAA Championship for the second straight season. In 2007, she finished second in the consolation finals on the platform for her first All-America award. In addition, van Katwijk earned five points for the Cougars in the overall team standings. Houston has finished among the Top-25 leaders at the NCAA Championship for seven consecutive seasons entering the 2008 meet. Ohio State's Chelsea Davis won the 3-meter national championship with 365.85 points in the finals. Teammate Bianca Alvarez finished second with 354.50 points. Arizona leads the team standings with 361 points heading into the final day. Auburn is second with 244 points, while Texas A&M is third with 227 points. Freshmen Lacey Truelove and Courtney Forcucci also are competing in their first NCAA Championship meets and competed on Friday. Truelove placed 19th in the preliminaries with 284.20 points, while Forcucci scored 247.10 points to finish 36th. The Cougars wrap up their stay Saturday, beginning with the platform trials at 12:30 p.m. (CDT). The platform consolation finals are slated to begin at 2:15 p.m. (CDT) with the swimming and diving finals starting at 6 p.m. (CDT). Adding van Katwijk's performance Friday to her resume, Figueiredo also has mentored 11 divers to 36 All-America honors. This marks the eighth consecutive year that at least one UH diver has competed at the NCAA Championship and it will be the fifth straight season that the Cougars have sent multiple divers to the nation's top collegiate meet. My first round predictions for the NCAA Division 1 Women's Basketball Tournament are listed on our satellite site for the women's tournament. Click here to view my first round predictions. and read my recap on each game. Click here to see my first round day two predictions. COLUMBUS, OHIO (March 20, 2008) – Three University of Houston divers competed in the women’s 1-meter event Thursday at the 2008 NCAA Championship at the McCorkle Aquatic Pavilion on the campus of Ohio State. Senior captain Ginni van Katwijk placed 18th with 263.15 points, while freshman Courtney Forcucci finished 21st with 260.15 points. Freshman Lacey Truelove placed 38th with 224.65 points. The divers will compete on the 3-meter springboard, beginning with trials at 12:30 p.m. (CDT) Friday. The consolation finals for places nine through 16 will begin at 2:30 p.m. (CDT) with the swimming and diving finals scheduled to start at 6 p.m. (CDT). This is the second-career appearance for van Katwijk at the NCAA Championship. In 2007, she placed second in the consolation finals and earned All-America honors on the platform. This marks the first NCAA Championship appearance for both Forcucci and Truelove. During head coach Jane Figueiredo’s 18-year career at UH, she has led 26 divers to the NCAA Championship, including 10 divers who earned 35 All-America honors. Figueiredo was honored Conference USA Diving Coach of the Year for the seventh-straight year earlier this season. HOUSTON, TEXAS (March 20, 2008) The University of Houston men's basketball team will face off against Valparaiso in the second round of the College Basketball Tournament. Valparaiso (22-13) defeated Washington (16-17) 72-71 to join Houston in the second round. Houston, which has the higher seed in the bracket, earned home court advantage with their 80-79 upset of Nevada on Tuesday night. The second round game will be at Houston on Monday, March 24. Game time is TBA. HOUSTON, TEXAS (March 19, 2008) Three University of Houston divers will begin competition at the 2008 NCAA Championship on Thursday at the McCorkle Aquatic Pavilion on the campus of Ohio State. Senior captain Ginni van Katwijk and freshmen Courtney Forcucci and Lacey Truelove earned their places at the nation's top collegiate meet with solid performances throughout the NCAA Zone D meet last weekend at UH's own Campus Recreation and Wellness Center Natatorium. The Cougar trio is scheduled to compete in all three events at the NCAA Championship. Their schedule begins at 12:30 p.m. (CDT), Thursday with the 1-meter diving trials. The consolation finals for places nine through 16 will begin at 2:15 p.m. (CDT) with the finals of both swimming and diving slated to start at 6 p.m. (CDT). On Friday, the divers will compete on the 3-meter springboard, beginning with the 3-meter trials at 12:30 p.m. (CDT). The consolation finals for places nine through 16 begins at 2:30 p.m. (CDT) with the swimming and diving finals scheduled to start at 6 p.m. (CDT). All-session tickets are available for $60 with sessions for each day's preliminaries selling for $10 and sessions for each day's finals going for $15. Tickets can be bought in advance by calling the Ohio State Ticket Office at 1-800-G0-BUCKS. Live results of the 2008 NCAA Championship will be available at OhioStateBuckeyes.com by clicking on the NCAA Championships logo in the middle of the women's swimming and diving home page. van Katwijk will make her second career appearance at the NCAA Championship. A year ago, the Grootebroek, Netherlands, native won the consolation finals and earned All-America honors on the platform. While Truelove and Forcucci will compete in their first NCAA Championship, the event is nothing new for diving head coach Jane Figueiredo. During her illustrious 18-year career at UH, Figueiredo now has led 26 divers to the NCAA Championship, including 10 divers who earned 35 All-America honors. RENO, NEVADA (March 19, 2008) Robert McKiver scored 22 points and Marcus Cousin made the winning free throw with 26.5 seconds left to lead Houston past Nevada 80-79 Tuesday night in the opening round of the inaugural College Basketball Invitational. Dion Dowell added 19 points and 14 rebounds for the Cougars, whose 23-9 record is their best since the 1991-92 season. They advance to the second round March 24 against the winner of Wednesday's game between Washington and Valparaiso. Armon Johnson missed a 3-point attempt at the buzzer for Nevada, which had trailed by as much as 10 points the second half and closed its sixth consecutive year of postseason play at 21-12. Marcelus Kemp led Nevada with 24 points. Johnson had 16 and Brandon Fields 15. Tied at 71, Dowell followed a pair of free throws with a tip-in to put Houston ahead 75-71 with 3:10 left. The Cougars went up 79-75 on Kelvin Lewis' floater in the lane at 1:50. JaVale McGee, who scored Nevada's first 6 points of the game on three slam dunks but fouled out with 12 points total, scored inside but missed the free throw when he was fouled at 1:33. After McKiver missed a 3-pointer, Kemp scored inside to make it 79-79 with 58 seconds left. Houston led 43-36 at the half on Tafari Toney's 35-footer at the halftime buzzer. The Cougars took their biggest lead, 50-40, on Lewis' 3-pointer with 17:44 remaining. But Nevada answered with a 20-5 run to take a 60-55 lead on Kemp's 10 footer at 10:55. That run included a 10-0 stretch started by DeMarshay Johnson's slam dunk off a behind-the-back pass from McGee in the lane. McKiver's two free throws and 3-pointer pulled Houston to within 61-60 at 9:26, and Lewis' basket off a rebound tied it at 71 with 4:31 left. PASADENA, TEXAS (March 19, 2008) It is March Madness time again. 132 teams (actually 133 if you count the play-in game) will play over the next three weeks to determine the NCAA Men's and Women's Division 1 Basketball Champions. I do not cover much college basketball during the season. My commitment to other writing assignments keep me from its coverage. However, when March gets here, I am ready, willing and able to make my predictions and follow the tournaments to their conclusion. Last year, we combined both the men's and women's tournaments into a single blog for our coverage. This year we have split coverage into two separate web sites. Click on the links below to take you to our coverage. Our blog sites will include predictions, commentary, and anything else we find interesting. We will be publishing and posting exclusively to these two sites for the duration of the tournament. In addition, we will publish an occasional story on our main blog site, TexSport Publications, to keep coverage complete and up-to date. Please check out our two satellite sites for our coverage and predictions during the tournament. TexSport Publications returns in 2008 for its predictions and commentary on the NCAA Division 1 Men's and Women's Basketball Tournament. This year, we will maintain two separate blogs for the men's and women's tournament. Click here for our blog on the 2008 Men's Division 1 Basketball Tournament and click here for our blog on the 2008 Women's Division 1 Basketball Tournament. Check back soon for our first round picks in the men's tournament. IRVING, TEXAS (March 18, 2008) Conference USA will send three women’s basketball teams to postseason play as UTEP and SMU accepted bids to the NCAA Championship, while Southern Miss will participate in the WNIT. C-USA will be sending two teams in the national tournament for the first time since 2005. SMU (24-8), who earned C-USA’s automatic bid to the NCAA Championship, earned a 12th seed in the Oklahoma City Regional and will face No. 5 seed Notre Dame (23-8) on Sunday, March 23 at 2:30 p.m. EST. The game will be televised by ESPN inside the Mackey Arena in West Lafayette, Ind., on the campus of Purdue University. The winner of that game will advance to take on the winner of the No. 4 seed Oklahoma/No. 13 seed Illinois State contest in the second round on Tues., March 25. SMU, who has won 10 of its past 12 games, has a prolific offensive attack, averaging 74 points per game on 42 percent shooting from the floor. The Mustangs limits their opposition to 64 ppg. SMU is led by first-team all-league honoree Janielle Dodds' 15 points and 7.6 rebounds per game. Sophomore forward Delisha Wills is also in double figures, chipping in 12 ppg. SMU won its first C-USA title and became the first team in the league to win a tournament crown after losing its last two regular season games. The Mustangs last conference championship came in 1998-99 as a member of the Western Athletic Conference. The teams have met twice before: Notre Dame came out on top, 76-60, in South Bend, Ind., in the 1981-82 season, and the Mustangs prevailed two years later, 64-63, at Moody Coliseum. Notre Dame is ranked No. 15 in the Associated Press poll and No. 19 in the ESPN/USA Today poll. The Irish started the season on a hot streak, winning 12 of their first 13 games, including 10 straight. They then lost four of their next seven games, including showdowns with traditional powers Tennessee and Connecticut. The Irish have three players averaging double digits in scoring: Charel Allen (14.5 ppg), Ashley Barlow (11.7) and Lindsay Schrader (10.4). Earning an at-large bid to the “Big Dance” is C-USA’s regular season champion UTEP (27-3). The No. 7 seed Miners will face No. 10th seed Western Kentucky (26-7) in the Spokane Regional Saturday in Stanford, Calif. The game will be televised by ESPN2 with an approximate tip time of 10:30 p.m. EST. Western Kentucky was the Sun Belt Conference's East Division champion with a 16-2 record. The Lady Toppers beat Middle Tennessee, 65-49, to capture the conference tournament title on March 11 in Mobile. WKU is led by senior forward Crystal Kelly, who averages 22.7 ppg to rank sixth in the nation. She is also averaging 10.6 rebounds, eighth in the country, and tops the NCAA with a .649 field goal percentage. The 6-3 Kelly is one of four Lady Topper players with double figure scoring averages. The Lady Toppers are eighth in the nation in field goal percentage (.468) and 10th in rebound margin (+7.6 rpg). The winner of Saturday's game will meet either No. 2 seed Stanford (30-3) or 15th-seed Cleveland State (19-13) on Monday, March 24. The Miners were the first program in league history to go through the conference schedule unbeaten and established a league-best 23-game winning streak. In WNIT action, Southern Miss earned the league’s automatic bid and will find out its destination late Monday night. C-USA also has hopes for Marshall and Tulane earning a WNIT at-large bid. The WNIT expanded its field to 48 teams in 2006-07. The eight-team expansion allows for an automatic bid from every conference (31). The 2008 Postseason WNIT will feature 16 first-round games, followed by 16 second-round games, eight third-round games, four quarterfinal games, two semifinal games and the championship. All games in the single-elimination format are played at the home facilities of participating schools. IRVING, TEXAS (March 17, 2008) Baylor right-hander Shawn Tolleson was named Big 12 Conference Pitcher of the Week, the league office announced Monday. Tolleson was so honored after tossing a complete-game, two-hit shutout in Baylor’s 3-0 victory over then-No. 23 Oklahoma State last Saturday night at Baylor Ballpark. Nebraska first baseman Craig Corriston was named Big 12 Player of the Week. This is the first time Tolleson, a redshirt freshman from Fairview, Texas, has been so honored. He is the 13th Baylor pitcher to earn the weekly honor in the league’s 12-year history, joining Kris Lambert, Jason Jennings (four times), Chad Hawkins, Kyle Evans (twice), Steven White (twice), Jared Theodorakos, Cory VanAllen (three times), Mark McCormick (four times), Abe Woody, Ryan LaMotta, Wade Mackey and Kendal Volz. Baylor has produced at least one Big 12 Pitcher of the Week each season in the league’s existence save 2003. Tolleson tossed the complete-game shutout in only the fourth start of his career. In fact, only VanAllen, who was honored after his first career start, earned Big 12 Pitcher of the Week honors earlier in his career. Tolleson is the second Baylor pitcher in four weeks this season to be named Big 12 Pitcher of the Week, joining Volz who won the season’s first honor. It was Baylor’s first shutout since Mackey’s two-hit gem in a 3-0 victory at then-No. 23 TCU last season. Tolleson’s was the Bears’ first in a Big 12 game since April 7, 2006, when LaMotta tossed a three-hit shutout in Baylor’s 14-0 victory over Oklahoma State. A product of Allen High School, Tolleson held the final 22 batters of the game hitless, allowing a two-out single in the second and a one-out bunt single in the third. He retired 13 of the game’s final 14 batters, allowing only a leadoff walk in the ninth. Tolleson used only 108 pitches and exceeded 16 pitches in an inning only once – a 21-pitch second. He also tallied six strikeouts, a career high. Baylor returns to action Tuesday, March 18, hosting Sam Houston State for a midweek game at Baylor Ballpark. First pitch between the Bears and the Bearkats is scheduled for 6:30 p.m. CDT. HOUSTON, TEXAS (March 17, 2008) - University of Houston freshman Lacey Truelove scored 569.95 points to win the platform championship Sunday during the final day of the NCAA Zone D diving meet at the Campus Recreation & Wellness Center Natatorium. Truelove, who qualified for the 2008 NCAA Championship with her performances earlier in the meet, topped all divers in the preliminaries with 267.70 points and finished more than 60 points ahead of her closest competitor. Teammate and fellow freshman Courtney Forcucci finished fourth with 515.65 points, while senior captain Ginni van Katwijk scored 445.40 points to place fifth. With their solid performances throughout the NCAA Zone D meet, van Katwijk, Forcucci and Truelove qualified and will compete in all three events at the 2008 NCAA Championship on March 20-22 in at McCorkle Aquatic Pavilion in Columbus, Ohio. SMU's Audra Egenolf finished third on the platform with 523.90 points and joined Arkansas' Madison Palmer's as the final of eight qualifiers for the 2008 NCAA Championships. Egenolf and Palmer joined the Cougar trio and Texas' Mary Yarrison and Kathryn Kelly and Missouri's Kendra Melnychuk as the eight qualifiers to the NCAA Championship from Zone D.
On the men's side, Texas' Mike Wong won the platform competition with 621.85 points, while Missouri's Dante Jones finished second with 611.85 points. With his performance, Jones became the fifth and final men's qualifier to the 2008 NCAA Championship. He will join teammate Gregory DeStephen and Texas' Mike Wong, Jonathan Wilcox and Matthew Cooper at the Championship on March 27-29 at Federal Way, Wash.
Truelove and Forcucci will make their first appearances at the NCAA Championship. It also was the second time that the Cougars hosted the NCAA Zone D meet at the CRWC Natatorium. UH first played host to the postseason event in 2004. HOUSTON, TEXAS (March 17, 2008) The University of Houston men's basketball team will square off against Nevada at 8 p.m. (CDT), Tuesday at the Lawlor Events Center during the first round of the 2008 College Basketball Invitational. The Cougars received the No. 3 seed in the West Regional and will face the second-seeded Wolfpack in the opening round. If the Cougars win Tuesday, they will face the winner of the No. 1 Washington-No. 4 Valparaiso game in the second round on March 24. Tuesday's game also will be televised by Fox College Sports. Radio arrangements will be announced Monday when they are finalized. This will be the third time in the last four years that the Cougars will compete in the postseason after earning NIT invitations in 2005 and 2006. It also marks the first time since 1990-93 that the Cougars will compete in the postseason three times during a four-year stretch. Tuesday's game marks the first time the two teams have met on the hardwood since the Cougars enjoyed a 92-80 win in Reno on Feb. 8, 1993. The Cougars own a 6-1 all-time record against the Wolfpack with wins in each of the last three meetings. Senior guard Robert McKiver leads the Cougars with 23.1 points per game and ranks second in Conference USA with 1.8 steals per game. The New Haven, Conn., native, who was named to the All-Conference USA First Team for the second-straight season, also recently garnered honors on the USBWA All-District 7 First Team and the NABC All-District 9 Team. Senior forward Dion Dowell is tops with 6.7 rebounds per game with senior forward Tafari Toney a close second with six boards per contest. Senior guard Lanny Smith leads UH with nearly four assists per game and recently became only the fourth player in school history to top 500 assists during his career. The Cougars earned the postseason berth after finishing third in Conference USA and posting a 22-9 overall record. It was the program's highest win total since the 1991-92 team finished 25-6. The Cougars also recorded a program-best 11 wins in Conference USA play and reached double digits in C-USA wins for the second straight season. That marked the first time since 1990-92 that UH accomplished that feat. With their most recent postseason berth, Penders and his coaching staff have brought the Cougar program a long way. In the four years prior to Penders' arrival at UH, the Cougars posted a combined 44-73 record with only one NIT appearance in 2002. Since Penders joined the UH program in 2004, the Cougars have posted a combined 79-48 record with Penders setting a school record for the most wins by a head coach through his first four seasons. Nevada (21-10, 12-4 WAC) comes into the game after an 83-75 loss to New Mexico State during the semifinals of the WAC Tournament. The Wolfpack finished as WAC regular-season co-champions and enter Tuesday's game as winners of 13 of their last 18 games. Senior guard Marcelus Kemp leads Nevada with 19.8 points per game and is one of four Wolfpack players averaging double digits in points. Sophomore forward JaVale McGee is tops with 7.4 rebounds per contest, while Kemp and freshman guard Armon Johnson pace the team with more than three assists per game. The 16-team postseason event will be staged by The Gazelle Group, which is based in Princeton, N.J., and runs the 2K Sports College Hoop Classic that benefits Coaches vs. Cancer and the O'Reilly Auto Parts CBE Classic. It will be a single-elimination tournament through the first two rounds and the semifinals, all played at campus sites. The Championship Series will be a best-of-three with the higher-seeded team playing at home in the first game and, if necessary, the third. The first round is scheduled for March 18-19. The Championship Series will be March 31, April 2 and April 4. HOUSTON, TEXAS (March 17, 2008) The University of Houston men's basketball team accepted an invitation to compete at the 2008 College Basketball Invitational, director of athletics Dave Maggard and head coach Tom Penders announced Saturday evening. While the Cougars' first-round opponent and time have not yet been announced, UH knows it will make its first CBI appearance on the road. The Cougars' opponent and other game information is expected to be announced by Sunday night or early Monday morning. The teams will be invited along the same criteria used by the NCAA and NIT -- overall and conference records and late-season play. Four geographic brackets will be balanced competitively. Television arrangements will be announced as they are confirmed. This will be the third time in the last four years that the Cougars will compete in the postseason after earning NIT invitations in 2005 and 2006. It also marks the first time since 1990-93 that the Cougars will compete in the postseason three times during a four-year stretch. HOUSTON, TEXAS (March 16, 2008)- University of Houston senior captain Ginni van Katwijk and freshman Lacey Truelove became the second and third Cougars to qualify for the 2008 NCAA Championship with their performances Saturday afternoon during the NCAA Zone D Diving Meet at the Campus Recreation and Wellness Center Natatorium. van Katwijk won the 3-meter event with 641.05 points with Truelove a close second with 637.10 points. Both Cougars joined freshman Courtney Forcucci as qualifiers for the 2008 NCAA Championship. van Katwijk held third place with 322.35 points following the preliminaries behind teammate Truelove who recorded 325.25 points. Forcucci, who qualified for the NCAA Championship with her second-place performance in Friday's 1-meter event, finished fifth on the 3-meter board with 572.55 points. This marks the second time van Katwijk will compete in the NCAA Championship. In 2007, van Katwijk finished second in the platform diving consolation finals with 294.75 points. Forcucci and Truelove will compete at the NCAA Championship for the first time. They will be the 24th, 25th and 26th divers to compete at the NCAA Championship under head coach Jane Figueiredo. Missouri's Kendra Melnychuk also qualified for the NCAA Championship after finishing fourth with 621.80 points in the 3-meter event. Texas' Jonathan Wilcox won the men's 1-meter event with 686.40 points, while teammates Matthew Cooper and Mike Wong placed second and third. The meet will wrap up Sunday when both men and women compete in the platform event. The men's event will start at 10 a.m., and the women's event is scheduled to begin at 12:30 p.m. The women's qualifiers for the 2008 NCAA Championship are Ginni van Katwijk (Houston), Courtney Forcucci (Houston), Lacey Truelove (Houston), Mary Yarrison (Texas), Kathryn Kelly (Texas), and Kendra Melnychuk (Missouri). The men's qualifiers are Gregory Destephen (Missouri), Jonathan Wilcox (Texas), Matthew Cooper (Texas), and Mike Wong (Texas). Three more women's qualifiers, and one more men's qualifier will be decided after Sunday's platform event. Bay Area Toros Sign First Players for 2008 Season. TEXAS CITY, TEXAS (March 11, 2008) Texas City – The Bay Area Toros Professional Baseball Club of the Continental Baseball League, announced today the signings of three premier players to their 2008 roster. Thomas Maletta (LHP), Grant Massie (OF) and Zeke Boren (RHP) were the first three players to be announced this season by General Manager Mike Pede. The team will bring 25 players to the field on May 23 in their new home in Texas City, Texas. “The level of talent that we are seeing this year seems to be better than in years past for some reason, and it’s a good thing, because we need some pitching,” said Pede. Zeke Brown, a 6’2” right-hander, also just completed a stint in the Arizona Winter League, also on the Blythe Heat Championship team, is a native of the Philadelphia (PA) area. As a matter of fact, he played in the same high school baseball district as General Manager Mike Pede’s high school, even no-hitting Pede’s alma mater once. “Zeke is an interesting guy who brings a great deal of mound presence to our staff. I look forward to watching him pitch this summer in Texas City,” said the GM. FORT WORTH, TEXAS (March 14, 2008) The No. 15 TCU women’s tennis team will return home after a four-match road swing to play host to No. 48 Virginia on Sunday at noon at the Bayard H. Friedman Tennis Center. The Horned Frogs routed Ole Miss on Thursday to improve to 8-4 this season. Two Frogs are currently ranked in the top 100 in singles play, as Anna Sydorska is ranked No. 67, followed by Nina Munch-Soegaard at No. 87. Freshman Katariina Tuohimaa has won eight consecutive matches to lead the team with a 10-2 record. In doubles play, the duo of Sydorska and Macall Harkins is ranked No. 14 nationally and holds a 9-2 record this spring. The Frog tandem defeated the No. 32 duo from Ole Miss on Thursday for their fourth win over a ranked team this season. Virginia is currently 6-5 this season and coming off of a 7-0 shutout of No. 51 N.C. State on Sunday. The Cavaliers are led by junior Amanda Rales, who is ranked No. 124 in singles play. Virginia will face No. 5 Baylor on Friday before traveling to Fort Worth for Sunday’s contest. The Cavaliers hold the 2-1 advantage over TCU in the overall series that dates back to 1994. Virginia edged the Horned Frogs by a score of 4-3 during their last meeting in 2006 in Charlottesville, Va.
ATLANTA, GEORGIA (March 13, 2008) The All American Football League® (AAFL) announced today the postponement of its inaugural season until 2009. The League will continue to build upon the foundation that has been established, and will continue to discuss opportunities with potential investors. AAFL sponsors have committed to remain on board for the 2009 season. Currently, the League has corporate partnerships with New Balance, Baden Sports and Rogers Athletic. Also still in place for the 2009 season are a national radio partnership with Touchdown Radio & SportsDay Productions, and an internet broadcast partnership with PlayOn! Sports, a division of Turner Broadcasting. "We are so very fortunate to have built partnerships with companies who are partners in the truest sense of the word," said Keenan Davis, AAFL VP of League Operations and COO. "We sincerely appreciate their support as we progress toward our new goal of a 2009 inaugural season." All fans who have purchased tickets to 2008 AAFL games will receive a full refund. Credit cards will be credited and any checks received will be returned. Additional details regarding the AAFL's postponement are forthcoming. COLORADO SPRINGS, COLORADO (March 13, 2008) TCU junior Kriegler Brink was named the Mountain West Conference Men’s Tennis Player of the Week, while junior Macall Harkins was named the MWC Women’s Tennis Player of the Week, the league office announced on Thursday. Brink, a native of Gauteng, South Africa, went a combined 4-0 last week as No. 29 TCU split contests with two ranked Big 12 opponents. Brink won both singles contests to remain undefeated. Andrei Daescu and Federico Chavarria by a score of 8-4 at the top position to clinch the doubles point in what would be the deciding factor in the match. In singles play, Brink cruised past Alexander Joitoiu by a score of 6-1, 6-3. Brink and Cotet led off doubles play against No. 19 Texas A&M with an 8-3 victory over Austin Krajicek and Wil Spencer as the Horned Frogs would eventually clinch the doubles point. In singles action, Brink outlasted Chris Chirico by a score of 3-6, 6-3, 6-4 to push the match score back to 3-3, before the Frogs would eventually drop the last contest. The award was the first for Brink in his TCU career and the fourth award in the last five selections for the men’s team, as Cotet and Emanu Brighiu have also garnered the honors. Harkins, a native of Palos Verdes, Calif., went a combined 4-0 last week to lead No. 22 TCU to two wins on the road over nationally ranked opponents. Against No. 37 Wake Forest, Harkins defeated Christian Tara at the No. 3 position by a score of 6-4, 4-6, 6-2 to knot the match back up at 2-2. In doubles play, Harkins and partner Anna Sydorska routed the No. 27 duo of Alex Hirsch and Sasha Kulikova by a score of 8-3 to clinch the crucial doubles point in a match where all six singles contests went to three sets. Harkins led off singles play against No. 28 VCU with a dominating 6-2, 6-0 victory over No. 121 Kateryna Yergina at the No. 3 spot. Harkins and Sydorska also led off doubles action with an 8-6 win over VCU’s Uvarova and Konstantinova at the top position. The award was the second for Harkins this season and the third consecutive and fourth overall this season for the women’s team. OKLAHOMA CITY, OKLAHOMA (March 12, 2008) The game schedule for the 2008 Olympic Softball competition was announced today by the International Softball Federation (ISF). The USA Softball Women’s National team will begin competition five months from today on August 12 as the 32-game slate spans from August 12-21 at Fengtai Softball Field in Beijing, China. The three-time defending Olympic Gold Medal winning team will look to defend its title by playing seven round robin games before looking to advance to the playoffs on August 20 and the grand final on August 21. Six of the seven round robin games for the U.S. will take place at noon local time. On August 17, they will play the Netherlands at 7:30 p.m. local time. See below for complete schedule and attachment. Fengtai Softball Field was built for the 2008 Olympic Softball competition and opened in August 2006 with the ISF’s XI Women’s World Championship, which also served as the sport’s Olympic Test Event. In 2007, the venue hosted the China Cup. USA vs. Netherlands – 7:30 p.m.
GM1: Seed 1 vs. Seed 2 – 9:30 a.m.
Loser of GM1 vs. Winner of GM2 – 5 p.m.
Thursday, August 21 – Grand Final Game – 6:30 p.m. NOTE: A television schedule is still to be determined. Currently on a break from the KFC Bound 4 Beijing tour, the USA Softball Women’s National team has tallied an 11-0 record against NCAA Division I opponents. Hitting .419 as a team, the U.S. has outscored opponents 118-0 and is led by lefty Jessica Mendoza (Camarillo, Calif.). The outfielder is hitting .579 with 19 RBI and four home runs. From the circle, the U.S. team has pitched 70.0 shutout innings with only 10 walks issued and 147 strikeouts recorded. Up next the squad will travel to Fullerton, Calif. to participate in the Judi Garman Classic. They will take on host Cal State Fullerton on March 19 at 7 p.m./PST; Louisiana Lafayette on March 20 at 6 p.m./PST; and New Mexico on March 21 at 6 p.m./PST. FORT WORTH, TEXAS (March 12, 2008) The TCU men’s tennis team moved two spots to No. 27 in the latest Intercollegiate Tennis Association rankings released on Tuesday. The Horned Frogs made the move after posting a 4-3 win over No. 35 Oklahoma and dropping a tough 4-3 decision to No. 19 Texas A&M last week. The Frogs are currently 10-3 overall this season, with three players ranked in singles play, which includes No. 21 Cosmin Cotet, No. 115 Adrian Simon and No. 122 Zach Nichols. The No. 27 ranking is the highest for TCU since achieving a No. 23 ranking on March 28, 2006. The Frogs are the highest ranked team in the Mountain West Conference, followed by New Mexico at No. 55. TCU will meet No. 16 Illinois in Champaign, Ill., at 6 p.m. on Wednesday. The Frogs will return home for a Friday contest against No. 22 Wake Forest at 6 p.m.
FORT WORTH, TEXAS (March 11, 2008) The TCU women’s tennis team jumped seven spots to No. 15 in the latest Intercollegiate Tennis Association team rankings released on Tuesday. The Horned Frogs made the move after wins on the road against No. 28 VCU and No. 37 Wake Forest last week. The Frogs are 7-3 overall this season, with six of their seven wins coming against opponents ranked in the top 75. The No. 15 ranking is the highest for TCU since the Frogs were ranked No. 15 on Jan. 30, 2007. Freshman Katariina Tuohimaa leads the team with an 8-2 singles record, while Anna Sydorska and Nina Munch-Soegaard are ranked No. 67 and No. 87, respectively. The duo of Sydorska and Harkins is ranked No. 14 nationally, and hold a doubles record of 8-1. The Frogs will meet No. 39 Auburn on Tuesday at 2 p.m. in Auburn, Ala., and will face Ole Miss on Thursday at 1 p.m. in Oxford, Miss. match at Mississippi at 1 p.m. CT. The Horned Frogs defeated No. 28 VCU on Saturday to improve to 7-3 on the season. Anna Sydorska and Nina Munch-Soegaard are ranked No. 67 and No. 87, respectively, to lead the Frogs. Freshman Katariina Tuohimaa has won six consecutive matches to lead the team with eight wins on the season. The doubles duo of Sydorska and Macall Harkins has posted an 8-1 record to earn a national ranking of No. 14. The Frog duo’s only loss this season came to the nation’s top tandem from Fresno State. Auburn is currently 11-3 this season, coming off of a 6-1 victory over Mississippi State on Sunday to improve to 3-1 in the Southeastern Conference. Auburn is led by sophomore Fani Chifchieva, who is ranked No. 24 nationally in singles play. The Tiger duo of Alex Haney and Melissa Konig is ranked No. 47 in doubles action. The Horned Frogs and Tigers have only met once in the series, as TCU defeated Auburn by a score of 5-3 in Fort Worth during the 1992 season. TCU will meet a 4-8 Mississippi squad on Wednesday in Oxford, Miss. The Rebels fell to Alabama by a score of 4-3 in their last action on Sunday. The Mississippi duo of Nika Koukhartchouk and Karen Nijssen is ranked No. 32 in doubles play. Mississippi leads the overall series with the Frogs by a 3-1 advantage. Last season, TCU routed Mississippi by a score of 6-1 in Fort Worth. ATLANTA, GEORGIA (March 9, 2008) The CEO of the new All-American Football League, Marcus Katz, has announced the league has landed a badly needed television deal that could make the AAFL viable in 2008. Katz also said the league is in talks with new investors that are critical to the AAFL's future. "Everything was contingent upon us landing a television deal and that television deal arrived today," Katz said. Katz also was not ready to acknowledge the AAFL will postpone its inaugural season until 2009 which was announced by the league earlier Thursday. "We had a board meeting (Thursday) and voted not to postpone," Katz said. "We have been seeking additional investors and felt we are far enough along to continue on." Katz declined to identify the network involved with the AAFL saying it would be the network's right to make the announcement. "It's not signed yet because we haven't signed it," Katz said. Katz said his role in the league will be diminished if the new investors in talks with the AAFL choose to join. "I would be secondary," Katz said. "They would be taking a majority interest in the league." The AAFL is scheduled to open training camps Wednesday. The league has teams in Houston, Texas, Detroit, Michigan, Little Rock, Arkansas, Gainesville, Florida., Birmingham, Alabama, and Knoxville, Tennessee. HOUSTON, TEXAS (March 8, 2008) In front of a sparse crowd at Robertson Stadium, the Red Team defeated the White Team 14-13 in the inaugural Space City Classic football game. "I didn't think I would be that open," said LaBum, who found himself uncovered as North Shore quarterback Jeremiah McGinty scrambled around the rush. "I saw the cornerback coming up hard, made my move and just did the rest." The crowd, which despite is small size, was enthusiastic and saw a game that was dominated by defense. Nick Saenz (Pearland High School/University of Houston), ended two Red drives with interceptions, while defensive back Chris Banjo (Kempener High School/SMU) stopped a White scoring drive when he recovered a fumble at the Red 1-yard line to end the first half. Booker T. Washington Highh School will receive $1,000 towards its athletic department as a result of LaBum's MVP honor. Jared Williams (Huntville High School/Rice University) earned his school's atheltic department $500 as he received top honors for his academics. COLLEGE STATION, TEXAS (March 8, 2008) – The No. 29 TCU men’s tennis team dropped a 4-3 decision to No. 19 Texas A&M on Saturday at the George P. Mitchell Tennis Center in College Station, Texas. With the loss, the Horned Frogs fall to 10-2 this season, while the Aggies improve to 6-4. The Frogs took the early 1-0 lead in the match with doubles wins at the No. 1 and No. 3 positions. The TCU duo of Kriegler Brink and Cosmin Cotet led off with an 8-3 victory over Austin Krajicek and Wil Spencer at the top position. The TCU duo of Zach Nichols and Jack Seider followed with an 8-3 win over Matt Bain and Kayvon Karimi at the No. 3 spot to clinch the doubles point. The win improved Nichols and Seider to 12-0 this season. The Aggies jumped out to a 2-1 lead in the match after winning singles contests at the No. 1 and No. 3 positions. TCU’s Emanu Brighiu answered back with a gutsy 6-4, 1-6, 7-5 victory over Krajicek at the No. 2 flight to even the match at 2-2. After a tough three-set loss at the No. 6 singles position, Brink knotted the match again with a 3-6, 6-3, 6-4 victory over Chris Chirico at the No. 4 spot. With the win, Brink improved to 11-0 in singles play this season. in the third set to drop his first match of the season by a score of 4-6, 6-3, 6-3 to Texas A&M’s Bain. The Frogs will remain on the road, facing No. 62 Wisconsin on Monday at 3 p.m. and No. 7 Illinois on Wednesday. RICHMOND, VIRGINA (March 8, 2008) The No. 22 TCU women’s tennis team defeated No. 28 VCU by a score of 4-3 on Saturday in Richmond, Va. The win pushes the Horned Frogs to 7-3 this season, while dropping VCU to 13-2 overall. The Frogs swept doubles action to take the early 1-0 lead in the match. TCU’s 14th-ranked duo of Macall Harkins and Anna Sydorska led off with an 8-6 victory over Tatsiana Uvarova and Viktoria Konstantinova in a match where TCU once trailed 6-4. Harkins and Sydorska are now 8-1 this season at the top doubles position. TCU’s Maria Babanova and Idunn Hertzberg followed at the No. 3 position with an 8-6 victory over Olena Leonchuk and Kateryna Yergina to clinch the doubles point. Nina Munch-Soegaard and Katariina Tuohimaa would complete the TCU sweep with an 8-7(3) win over Laura Burns and Vera Petrashevitch. The Frogs stormed out in singles play, winning the first three contests to clinch the match. Harkins led off with an impressive 6-2, 6-0 rout of No. 121 Yergina at the No. 3 flight. Tuohimaa, a freshman from Helsinki, Finland, won her sixth consecutive match of the season with a 6-2, 7-5 victory over Leonchuk at the No. 4 position. Tuohimaa leads the Frogs this season with an 8-2 record. Sydorska, ranked No. 67 in singles play, saved four sets points in the first frame to eventually defeat Konstantinova by a score of 7-6(3), 6-4 to clinch the match for TCU. After TCU claimed the win, VCU battled back to take the final three matches, including three-set wins over No. 87 Munch-Soegaard and Hertzberg. The Frogs will remain on the road for a Tuesday contest against No. 41 Auburn at 2 p.m. The Frogs are led by Anna Sydorska and Nina Munch-Soegaard, who are ranked No. 67 and No. 87, respectively, in singles play. Freshman Katariina Tuohimaa has won five consecutive matches to lead TCU with seven victories. TCU’s 14th-ranked doubles duo of Sydorska and Macall Harkins is 7-1 this season with three wins over ranked opponents. VCU is coming off of their first loss of the season on Sunday to No. 60 Virginia Tech. The Rams are led by No. 50 Tatsiana Uvarova and No. 121 Kateryna Yergina in singles play. The Horned Frogs and Rams have only met each other twice in the series, with each team holding a win. The Frogs hosted No. 25 VCU last season in Fort Worth, pulling the 6-1 upset. STARKVILLE, MISSISSIPPI (March 7, 2008 Baylor baseball's series at Mississippi State has been delayed due to inclement weather in the East-Central Mississippi region. The series will not start until Sunday when the Bears and Bulldogs will play at doubleheader at 1:30 p.m. CST. The series finale is now scheduled for 1 p.m. Monday. precipitation in the Starkville area Friday evening and into Saturday morning. Conditions are expected to be vastly improved by Sunday. Sunday, March 9 Baylor at Mississippi State (DH), 1:30 p.m.
Monday, March 10 Baylor at Mississippi State, 1 p.m.
ATLANTA, GEORGIA (March 6, 2008) The new All American Football League will have to postpone its 2008 season unless it finds new financial backing. The announcement Thursday came less than a week before camps were to open for the six-team league. The league, which held its inaugural draft in January, has rosters and staffs in place for six teams: Detroit; Little Rock, Ark; Gainesville, Fla.; Birmingham, Ala.; Knoxville, Tenn., and Houston. The Texas team was to play home games at Rice Stadium. Training camps were scheduled to open Wednesday, followed by the first games in April. The league will push its plans back to 2009 unless it secures a TV deal or other funding. The league announced Thursday it was exploring "multiple financing options" to address its funding crisis. The AAFL was formed to fill the void created when the NFL shut down NFL Europe earlier this year after 16 seasons. The league was losing a reported $30 million a season, and now the AAFL, lacking a TV deal, also faces a financial crisis before it can stage its first game. Among the first players drafted on Jan. 26 were quarterbacks Bryan Randall, by Tennessee, and Eric Crouch, by Texas. Former Troy offensive lineman Zarah Yisrael was drafted No. 1 overall by Arkansas. 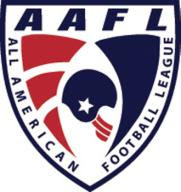 According to a statement released by the league, the AAFL's financial crisis is tied to the national subprime mortgage crisis. League CEO Marcus Katz co-founded a company that provides student loans. The statement said camps would open Wednesday "if liquidity can be immediately restored." If not, plans for an inaugural season will be pushed back to 2009.